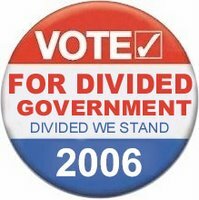 The Dividist Papers: Benefits of divided government: A real time example. 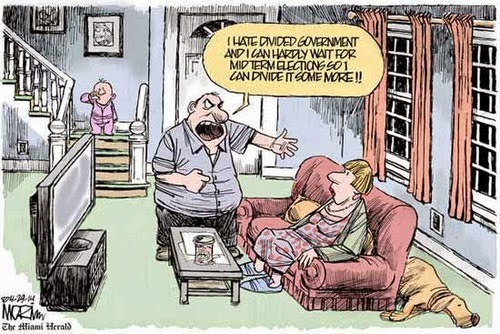 Benefits of divided government: A real time example. "... we are reminded of how much better we'd be without a rubberstamp Congress. With R's playing the role that D's can't in the minority, the WH negotiates for a bill, with concessions all around. Now, these concessions may not be nearly sufficient (these are nervous R's at election time), and the negotiations may not be in good faith (although in this case, the R's are literally desperate to get something passed). In addition, they highlight severe and real republican fissures. but it does remind us of how government used to function, and can function again... the divisions are real and the highlighted bits give you a taste of life with a D Congress. House and Senate opposition is good for the country. In any case, neither bill is particularly good nor in need of passage before January. The country would be better served by a vetting of the bill by a real bipartisan opposition, using the core of the House and Senate objections as a starting point." These important issues deserve real and public debate. We are only getting that debate because a handful of Republican military veterans in Congress have placed loyalty to the American people and the Constitution above loyalty to the Republican party or this administration. Should surveillance be permitted to intercept terrorist plots? Yes. Should there be clarity about how we interrogate, detain and prosecute enemy combatants? Yes. Should the executive branch be immune to congressional and judicial oversight, with a free hand to ignore US laws (like FISA) and treaties (like the Geneva Convention) in the prosecution of these activities? No. Not in the United States of America. a federal government with the power to supervise virtually every aspect of American life, from kindergarten, to marriage, to the grave. President Bush's constitutional vision is, in short, sharply at odds with the text, history, and structure of our Constitution, which authorizes a government of limited powers." I said it before and I'll say it again here. This midterm election is not about Republicans vs. Democrats. This is not about whether your incumbent Congressman or Congresswoman is the better candidate than their challenger. 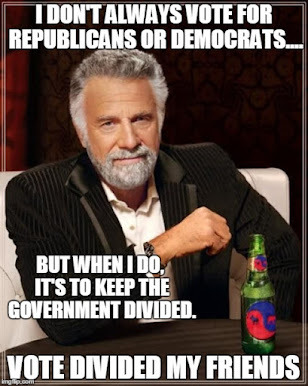 This is about creating partisan balance in Washington in order to restore and protect Constitutional constraints on government power now, before it is too late.